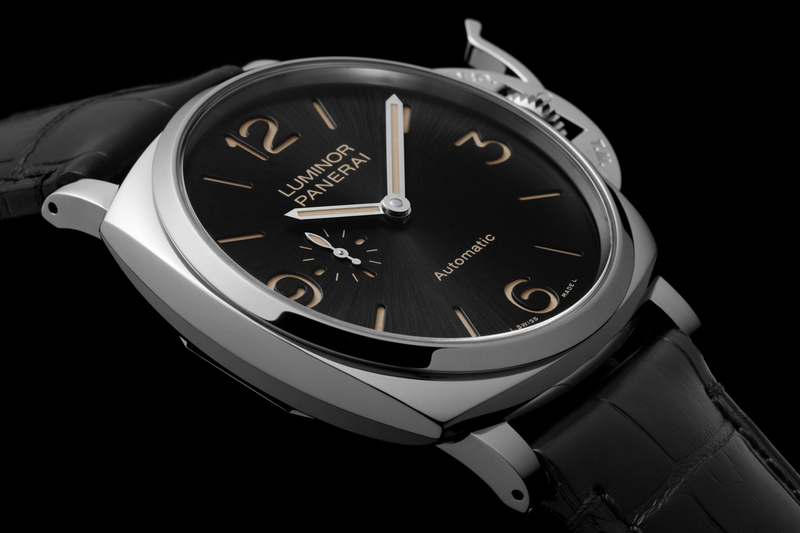 This week Panerai unveiled a new, thinner version of their iconic Luminor timepiece. Four models were introduced, with up to a 40% reduction in case thickness, making for a lighter, more comfortable wearing experience. Let’s face it, the proportions of a watch make a significant difference in how it wears. Everything from length, width, thickness, case shape, and weight, factor into the timepieces comfort on the wrist. 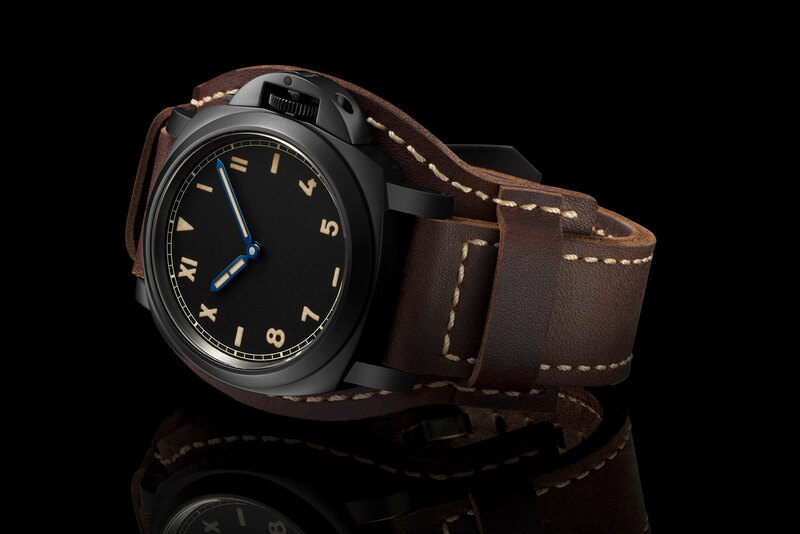 And so, Officine Panerai, the king of oversized watches, decided to make their Luminor timepieces a bit more comfortable, while maintaining the signature Panerai features, such as the crown lever bridge, cushion case, and sandwich dial. 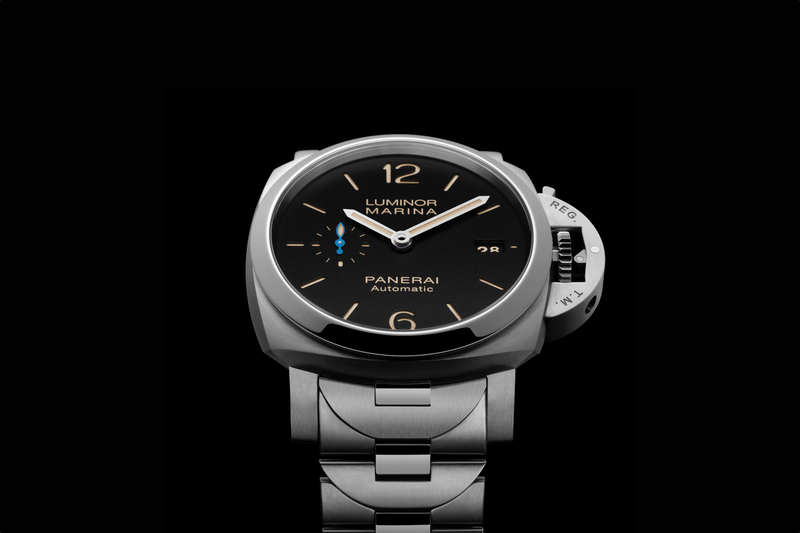 For the debut, Panerai introduced two models, the Luminor Due 3 Days – 42 mm and the Luminor Due 3 Days Automatic – 45 mm, both in steel or red gold. With a thickness of 10.5 mm, the Luminor Due 3 Days case is the thinnest Luminor ever. An open caseback offers a view of the manually wound caliber P.1000 movement (the red gold model is equipped with the skeletonized P.1000/10 movement). The movement beats at 4Hz (28,800 vph), and boasts a 3-day power reserve (72-hours). The three-quarter plate design is finished with straight-grained bridges and chamfered edges. Notably, the balance bridge connected on both sides for greater stability of the regulation system. The Luminor Due 3 Days comes with a black alligator strap both in the steel version (Ref. PAM00676) and in the red gold version (Ref. PAM00677). It is water-resistant to 30 meters. The Luminor Due 3 Days Automatic measures 45 mm x 10.7 mm and is powered by automatic caliber P.4000 which has a decentralized micro-rotor (which rotates in both directions). The bridges have a circular brushed finish, gilded engraving, and chamfered edges. They are also skeletonized to allow more of the movement to be seen. The Luminor Due 3 Days Automatic comes with a black alligator strap in both the steel version (Ref. PAM00674) and the red gold version (Ref. PAM00675). It is water-resistant to 30 meters. 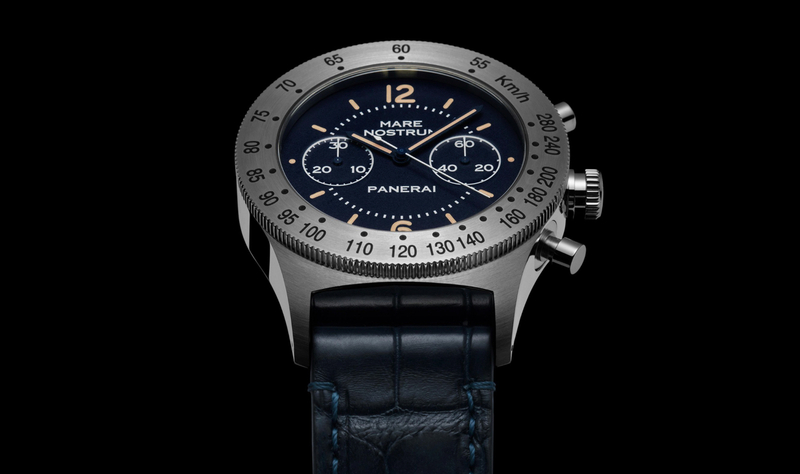 It is nice to see a watch company focusing on making an existing model more ergonomic, and I hope more follow Panerai’s lead. The satiné soleil (sun-brushed) sandwich dials, gray for the red gold models, and black for the steel models, look fantastic.